7 November 2017, at 12:00a.m. Multi-award-winning pig production firm, Midland Pig Producers (MPP), has clinched a major new deal to export its pioneering pig pen design to the US. 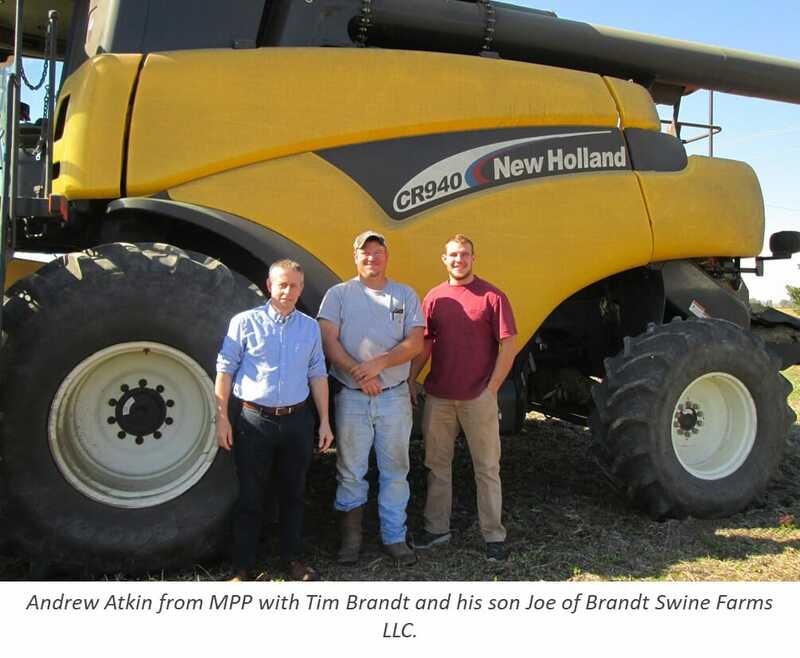 The 360º Freedom FarrowerTM, developed by the MPP team over the last five years, has been supplied to Brandt Swine Farms LLC in Ohio in a move designed to increase welfare standards and meet changing buyer demands across the Atlantic. It is the first time the award-winning design has been sold to the US, paving the way for a new generation of welfare-conscious farming techniques across the country. The design, which has won a series of prestigious national animal welfare accolades, is already being sold in the UK, Australia, Ireland and Spain. The latest deal has seen 280 pens exported to Ohio for use at Tim Brandt's independent farm business, which has 1,400 breeding sows alongside a 1,100-acre maize, wheat and soya bean agricultural operation. The company invested in the design in response to growing pressure within the industry for advanced animal welfare standards as well as a desire to remain ahead of developing trends. We have been searching for a free farrowing system in the US for some time but couldn't find anything suitable. I liked the design of the 360º Freedom Farrower™ from the start and immediately saw it as the solution to the problem of converting our farrowing rooms. My son Joe has come back to work on the farm and we felt that this is the future of the industry and how we would like to farrow sows. I am impressed by the work that Midland Pig Producers have put into the development of the pen, it's simplicity, convenient 'footprint' and the quality of engineering that has gone into the final product. We're delighted the 360º Freedom FarrowerTM has arrived in the US to set the benchmark for innovative, welfare-conscious pig farming. We've proven with this design that modern farming can embrace animal health and welfare improvements while also increasing profitability and it's always pleasing to welcome more farmers to our way of thinking - both in the UK and abroad. From day one we've always believed in the authenticity of this design and its potential to replace traditional farrowing crates. It gives the whole team at MPP great satisfaction knowing that our approach is helping to transform modern pig farming by raising welfare standards without compromising productivity, as we always knew that it would. We see further opportunities in the US market and with Brexit in mind, I have no doubt that this deal represents a ‘wake-up' call to UK producers who are currently ‘sitting on the fence' in regard to the adoption of freedom farrowing systems. The 360º Freedom FarrowerTM is regarded as one of the most significant innovations to pig farming in recent years, enhancing pig performance and profitability as well as delivering superior standards on welfare. It has the same footprint as a conventional crate but improves the way in which the sow can be handled while allowing more freedom of movement. Its flexible design with moveable restraining bars gives the animal space to turn around in the pen but also enables close containment when necessary. MPP patented the design following extensive trials on its own farms and in recent years launched production for a worldwide market. MPP is an award-winning pig producer which has been at the forefront of efforts to modernise pig farming and promote best practice in the care and welfare of commercially-farmed pigs. The firm won a coveted Good Sow Commendation from Compassion in World Farming for its 360º Freedom FarrowerTM and also scooped the Food & Farming Industry Awards' prestigious Enterprise and Innovation title after demonstrating its commitment to advancing animal welfare standards and enhancing pig production techniques.